Heralded for its unique setting with custom homesites carved into the mountainside, MacDonald Highlands has quickly become one of the top luxury developments. 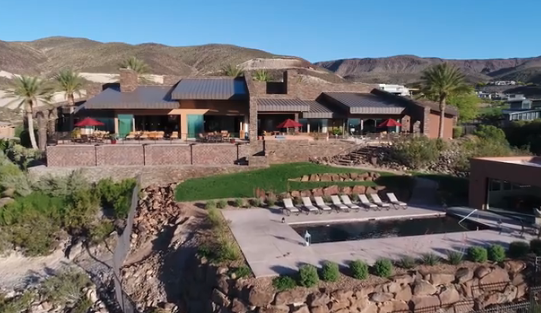 Among the luxury real estate communities in Las Vegas, NV, MacDonald Highlands has the best custom homesite locations that offer breathtaking views and prestigious amenities. Concealed behind MacDonald Highlands’ massive gates and lushly landscaped entrance is the private DragonRidge Country Club. This secluded course with its fairways, greens and tee boxes was sculpted and carved by famed designersJay Morrish and David Druzisky who placed the golf course back into the canyons, among the rock outcroppings and arroyos, utilizing dramatic elevations changes throughout. The unparalleled geography of MacDonald Highlands coupled with the community’s panoramic views of the Las Vegas Strip allowed the builders unbridled creativity. Built on 12 acres to 2-acre parcels, the elevations were stepped, floor plans terraced, horizontal lines emphasized and natural materials predominated.